Swedish singer/songwriter Sofia Talvik is one of those generous and sentimental souls who record a new holiday single each year to give to their fans as a Christmas gift. Well, this year's gift from Talvik should be wrapped in Tiffany blue, for it's a fabulous gift by any measure. The song is called "A Long Way Home," and it's written in the voice of a long-haul trucker trying to make it home to spend Christmas with a loved one. The usual mountain route is closed due to snow, but, undaunted, the trucker is determined to make it home. It's a sparse and beautiful folk song at heart, driven by a single soaring trumpet that carries us through a series of deep emotions. The song begins with the trumpet's rich and insistent wail, which underscores the driver's strength and determination as she makes her long way home. By the second verse, however, the trumpet paints a lonelier mood as it emerges more softly behind the trucker's description of the drive. As the last verse begins, the trumpet becomes a warning, and we're reminded of how quickly the unexpected can occur. 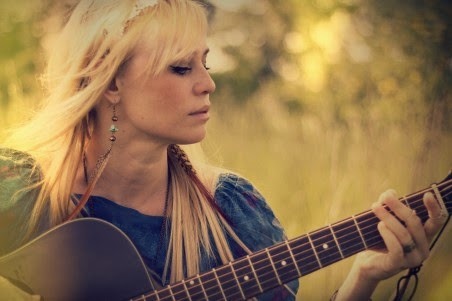 Sofia Talvik is a remarkable singer and this is a beautiful song. It's not your typical holiday tune by any means, but it left me thinking of how priceless the simplest of human connections can sometimes be. Download a Stripped-Down Version of "A Long Way Home"
Los Angeles-based singer/songwriter Krysta Youngs has just released a wonderfully hopeful new song called "The Magic of Christmastime," featuring Grammy-winning jazz pianist Ruslan Sirota. As a young musician working to get herself established, Youngs has faced her share of challenges, and, like everyone, she says, there have been times when her self-confidence began to run a little low. At Christmas, however, the glow from the love of family and friends can renew one's hopes and encourage a fresh look at the future. "No matter where you are, who you're with or what stage in life you're at," she says, "know that someone out there is rooting for you. And you're never too young or too old to experience 'The Magic of Christmastime.'" This one's a winner, don't you think? ASX TV will broadcast a one-hour special featuring highlights from the concert on Christmas evening at 8 pm. Check your cable listings for details. And for those who haven't experienced it yet, Heart's rendition of "Stairway to Heaven" in honor of Led Zeppelin at the 2012 Kennedy Center Honors is perhaps the most thrilling performance I've ever seen. This one's widely available on the internet, including HERE, and watching it will be the best 9 minutes you've spent all month. Don't miss the shots of President and Mrs. Obama getting into it (at 2:02 and 4:51, for example), Shane Fontayne's guitar solo (at 4:55), the moment of glory that begins at 5:45, and the reactions of the surviving members of Led Zeppelin and, which appear throughout the clip. Born in Northern Ireland, Peel has been performing professionally since 2005. She plays a host of electronic and acoustic instruments and performs and records both as a solo artist and as a member of the groups The Magnetic North and John Foxx and the Maths. She is also known for fabricating music boxes, which she often incorporates into her performances. Peel is one of a handful of artists selected to participate in this year's Snowflakes Christmas Singles Club. 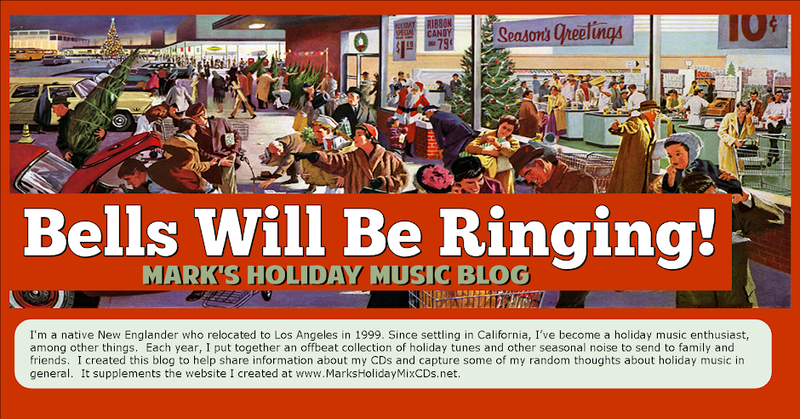 Participants contribute one original and one holiday cover tune, which are pressed as a limited-run double-sided single in honor of the season. For her cover, Peel chose Greg Lake's classic "I Believe in Father Christmas," which in her hands emerged as a bright and hopeful tune that sounds ever so much lighter and less cluttered than the original. Peel's music is worth a listen, and you can preview and download her music right now from iTunes (see below). Be sure to check out the gorgeous song "Silk Road," from her EP Fabriscate. Tune in tomorrow, when we begin our look back at some of the giants of entertainment we lost in 2014.